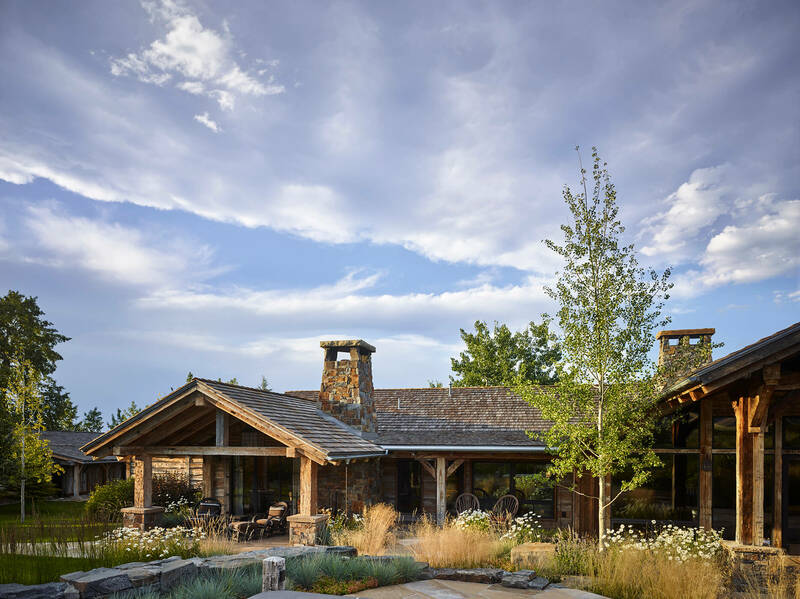 Two hewn buildings create a private, yet open flow, between living spaces and the outdoors. Connecting the living spaces to the outdoors was important to this Los Angeles couple. Thus the two hewn buildings, one a barn and the other a homesteader’s cabin, create a private, yet open flow between the spaces. The woman’s years spent living in Paris guided the blue and ochre color palette as well as the garden directly off the kitchen.